In the last article, we learned elasticsearch facets and in this article, we will learn the newer aggregations framework from elasticsearch. It is recommended you read the previous article on facets as it give you some idea what was in the past and it assists you in this article learning. Before we jump into elasticsearch aggregation, let's take a look of the taxonomy of the data first. Let's use an example that you and I use everyday, we all need food. With food, we have fruits within food. A wide variety of fruits can be available and we will use different type of fruits for queries later. So you may already guessed, the index is foods and the type is fruits. Unlike previous article, in this article, we will create mapping first. The reason is with each unique type to the fruit, we can do things like range, date, or geo query. Okay, let's get started, the following script is to create an index and its mapping. You should also be able to retrieve it here. now we check if the mapping are okay and health of the cluster. Look good, we are ready to index some sample data. A sample below but you should be able to get more here. okay, let's get into the actual works, min aggregation. Something different now, statistics aggreation. This one is cool as you can combine the above output into one. and if you want extra statistics exposure, try extended stats aggregation. percentile aggregation. This is cool to see your data distributions, like from 1% to 99%, where are the usual data distributed. cardinality aggregation. Note that this is experimental, it may have been removed in the future. Okay, we have covered a lot in this article for aggregations. But there are more to come in the next article. Hence, let's continue the rest of aggregation in the incoming article. Today we are going to learn facet in elasticsearch. In this article, we are going to use elasticsearch 0.90.7 and with this official documentation. Let's get started. First we index a few data for facets queries later. We are going to create index articles with type article and mainly changes on field tags. Okay, as we can read above index article mapping, both type are string. From the article, "The field used for facet calculations must be of type numeric, date/time or be analyzed as a single token — see the Mapping guide for details on the analysis process.". Okay, let's experiment with different type of facets. So a query string was performed with output on the tags count. If the output of the facets is vague, the following are the explanation. okay, let's try others facets. A match all query with term on field tags and limit facets output to 3.
now we want query to show count for all the terms. how about exclude some term from the facets output? What about if I only want certain fields only? But because this example only has a field, it only show that field, you should try index more fields. What if you want to just count on a certain field? you can also use query, similar output as above. To end this article, I leave some homework for you. You should also try the following facets, but do take note on the data type facets operate on. In the next article, I will try out the newer version of facets, that is, aggregations. Today, we are going to learn oauth2 with linkedin using python. It's a very simple and easy task. Let's install the necessary library dependency. In debian, you just will need to install these two dependency packages, that is python-requests-oauthlib and python-oauthlib. Okay, so you are set, now let's create a python script now for the oauth2. There are basically two variable value you need to change, client_id and client_secret. You should be able to find these two variable in your linkedin developer application page. 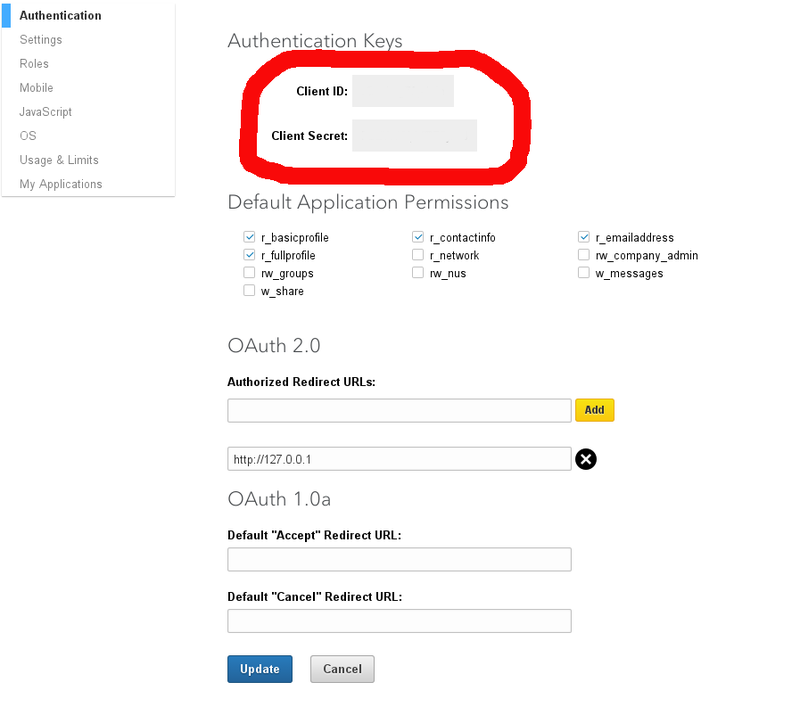 Once you login to your developer login page, you should be able to locate these two parameters. Note that, because of privacy of credential, I have remove them all, but you should get be able to find out. Note also you need to provide a redirect url, as seen here, it is http://127.0.0.1 match with what it is found in the script. So you should copy the first link in the script output into the browser, a linkedin authorization page will be loaded, you should authorized it and the next url, copy and paste back into the terminal. Voila, you can use the token to start use various linkedin api. The percolator allows to register queries against an index, and then send percolate requests which include a doc, and getting back the queries that match on that doc out of the set of registered queries. Think of it as the reverse operation of indexing and then searching. Instead of sending docs, indexing them, and then running queries. One sends queries, registers them, and then sends docs and finds out which queries match that doc. If that sounds a little abstract, let's dip our hand into the water. Let's start doing experiement using elasticsearch percolator. Start by create an index. Then we register a percolator query. Now we start to index, but we need to append _append to the url. So now we see a match "query" when we index a document 'field 1' equal to 'value 1'. Another way of index, see below, if you have multiple percolators to match with, you can use asterisk. So yes, another match! that's cool! 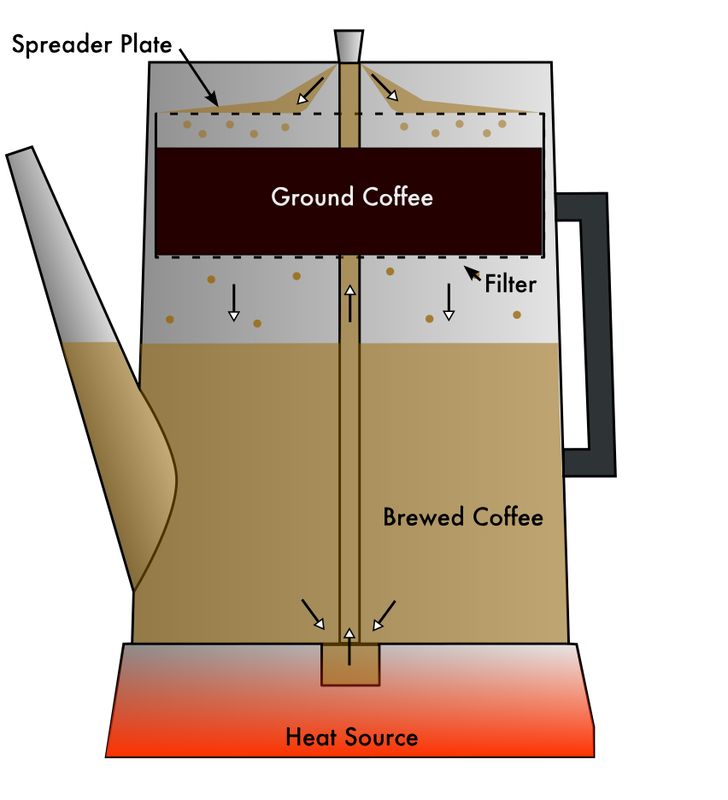 But what if we index specify using the percolator color green? There is no match. 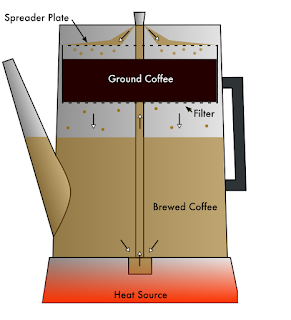 Lets index entirely different content, to see if we match the percolator we setup before. So there is not match. This is pretty cool, you can pre-register a few percolator and when interesting match coming in (index), then if there is any match to the percolator, it will shown in the output. Instead of query the index data, with percolator you can get the match query during indexing. Something very cool. Today, let's learn a java library, Java Execution Time Measurement Library or JETM. What is JETM? A small and free library, that helps locating performance problems in existing Java applications. JETM enables developers to track down performance issues on demand, either programmatic or declarative with minimal impact on application performance, even in production. jetm is pretty cool and has a lot of features. You can follow the tutorial trail here. The following codes are taken from one of the tutorial with minor modification. Hit the run button in eclipse. EtmMonitor info [INFO] JETM 1.2.3 started. EtmMonitor info [INFO] Shutting down JETM. So we saw that nestedMethod execute once and four time for someMethod. The result showing a minimum and maximum for the execution with an avarage. Last column shown the total. Pretty neat for a small java library. If you ever get the stack trace in web container log file such as below and wondering how to solve these. Then read on but first, a little background. A elasticsearch cluster 0.90 and client running on tomcat web container using elasticsearch java transport client. Both server and client running same elasticsearch version and same java version. * The default number of channels in each of these class are configured with the configuration prefix of transport.connections_per_node. * If you see NoNodeAvailableException you may have hit a connect timeout of the client. Connect timeout is 30 secs IIRC. * You can set org.elasticsearch.client.transport to TRACE level in your logging configuration (on the client side) to see the failures it has (to connect for example). For more information, you can turn on logging on org.elasticsearch.client.transport. * This means that you started to get disconnections between the client (transport) and the server. It will try and reconnect automatically, and possibly manages to do it. For more information, you can turn on logging on org.elasticsearch.client.transport. * Can you try and increase the timeout and see how it goes? Set client.transport.ping_timeout in the settings you pass to the TransportClient to 10s for example. * We had the same problem. reason: The application server uses a older version of log4j than ES needed. * The correct method is to add the known host addresses with addTransportAddresses() and afterwards check the connectedNodes() method. If it returns empty list, no nodes could be found. * the most common case for NoNodeAvailable is the regular pinging that the transport client does fails to do it, so no nodes end up as the list of nodes that the transport client uses. If you will set client.transport (or org.elasticsearch.client.transport if running embedded) to TRACE, you will see the pinging effort and if it failed or not (and the reason for the failures). This might get us further into trying to understand why it happens. * this has nothing to do with migration errors. Your JVM performs a very long GC of 9 seconds which exceeds the default ping timeout of 5 seconds, so ES dropped the connection ,assuming your JVM is just too busy. Try again if you can reproduce it. If yes, increase the timeout to something like 10 seconds, or consider to update your Java version. * During long GC the JVM is somehow suspended. So your client can not see it anymore. * You wrote that you have a 0.90.9 cluster but you added 0.90.0 jars to the client. Is that correct? * reasons outside ES: IP blocking, network reachability, network interfaces, IPv4/IPv6 etc. * Then you should be able to connect with TransportClient. So I have tried all that option mentioned and the problem solve by added sniff to the transport client setting. 08988For more information, read here. I hope this will solve your problem too.